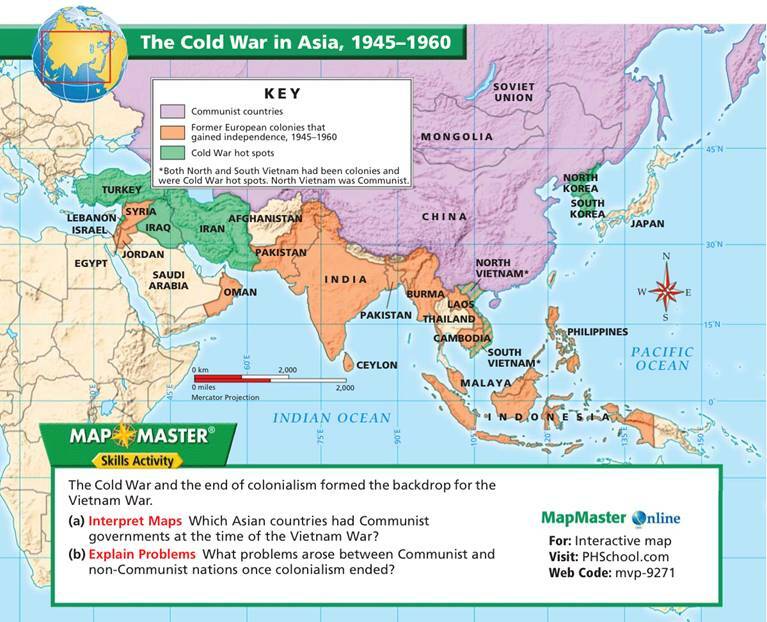 Tensions in Korean Peninsula originated with spread of Communism to mainland China in 1949. UN sanctions on North Korea will not work. The problem remains the same since 1950 when the US fought against People’s Liberation Army on Korean soil. 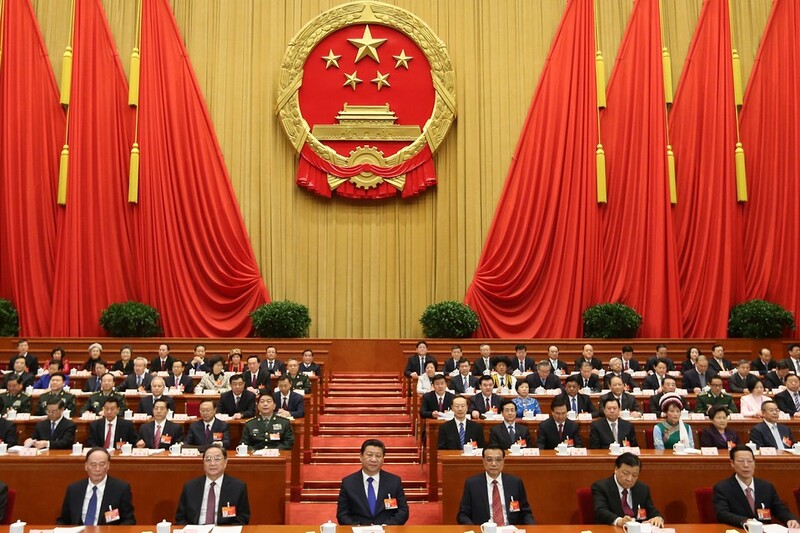 Single-Party Communist governance of mainland China imposes stumbling block for any change of course in North Korea. The U.N. Security Council strongly condemned North Korea’s "highly provocative" ballistic missile test on Friday and demanded that Pyongyang immediately halt its "outrageous actions" and demonstrate its commitment to denuclearizing the Korean peninsula. The U.N.’s most powerful body accused North Korea of undermining regional peace and security by launching its latest missile over Japan and said its nuclear and missile tests "have caused grave security concerns around the world" and threaten all 193 U.N. member states. North Korea’s longest-ever test flight of a ballistic missile early Friday from Sunan, the location of Pyongyang’s international airport, signaled both defiance of North Korea’s rivals and a big technological advance. After hurtling over Japan, it landed in the northern Pacific Ocean. Since U.S. President Donald Trump threatened North Korea with "fire and fury" in August, the North has conducted its most powerful nuclear test, threatened to send missiles into the waters around the U.S. Pacific island territory of Guam and launched two missiles of increasing range over Japan. 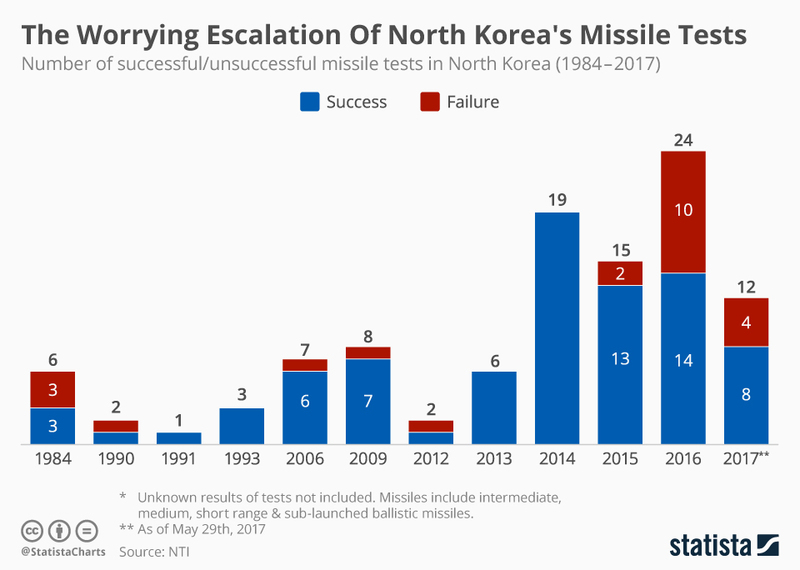 July saw the country’s first tests of intercontinental ballistic missiles that could strike deep into the U.S. mainland when perfected. The intermediate-range missile test came four days after the Security Council imposed tough new sanctions on the North for its Sept. 3 missile test including a ban on textile exports and natural gas imports — and caps on its import of oil and petroleum products. The U.S. said the latest sanctions, combined with previous measures, would ban over 90 percent of North Korea’s exports reported in 2016, its main source of hard currency used to finance its nuclear and missile programs. North Korea’s Foreign Ministry denounced the sanctions and said the North would "redouble its efforts to increase its strength to safeguard the country’s sovereignty and right to existence." The Security Council stressed in Friday’s press statement after a closed-door emergency meeting that all countries must "fully, comprehensively and immediately" implement all U.N. sanctions. Japan’s U.N. Ambassador Koro Bessho called the launch an "outrageous act" that is not only a threat to Japan’s security but a threat to the world as a whole." Bessho and the British, French and Swedish ambassadors demanded that all sanctions be implemented. Calling the latest launch a "terrible, egregious, illegal, provocative reckless act," Britain’s U.N. Ambassador Matthew Rycroft said North Korea’s largest trading partners and closest links — a clear reference to China — must "demonstrate that they are doing everything in their power to implement the sanctions of the Security Council and to encourage the North Korean regime to change course." France’s Foreign Ministry said in a statement that the country is ready to work on tougher U.N. and EU measures to convince Pyongyang that there is no interest in an escalation, and to bring it to the negotiating table. It said North Korea will also be discussed during next week’s annual gathering of world leaders at the General Assembly. The Security Council also emphasized the importance of North Korea working to reduce tension in the Korean Peninsula — and it reiterated the importance of maintaining peace and stability on the territory divided between authoritarian North Korea and democratic South Korea. The council welcomed efforts by its members and other countries "to facilitate a peaceful and comprehensive solution" to the North Korean nuclear issue through dialogue. Russia’s U.N. Ambassador, Vassily Nebenzia, strongly backed the need for dialogue saying the United States needs to start talks with North Korea, which the Trump administration has ruled out. Nebenzia told reporters after the meeting that Russia called on the U.S. and others to implement the "political and diplomatic solutions" called for in the latest sanctions resolution. "Without implementing this, we also will consider it as a non-compliance with the resolution," Nebenzia said, adding that it also may be time for the council to "think out of the box" on how to deal with North Korea. The growing frequency, power and confidence displayed by Pyongyang’s nuclear and missile tests seem to confirm what governments and outside experts have long feared: North Korea is closer than ever to its goal of building a military arsenal that can viably target U.S. troops both in Asia and in the U.S. homeland. This, in turn, is meant to allow North Korea greater military freedom in the region by raising doubts in Seoul and Tokyo that Washington would risk the annihilation of a U.S. city to protect its Asian allies. South Korea’s Joint Chiefs of Staff said the latest missile traveled about 3,700 kilometers (2,300 miles) and reached a maximum height of 770 kilometers (478 miles). Guam, which is the home of important U.S. military assets, is 3,400 kilometers (2,112 miles) away from North Korea. 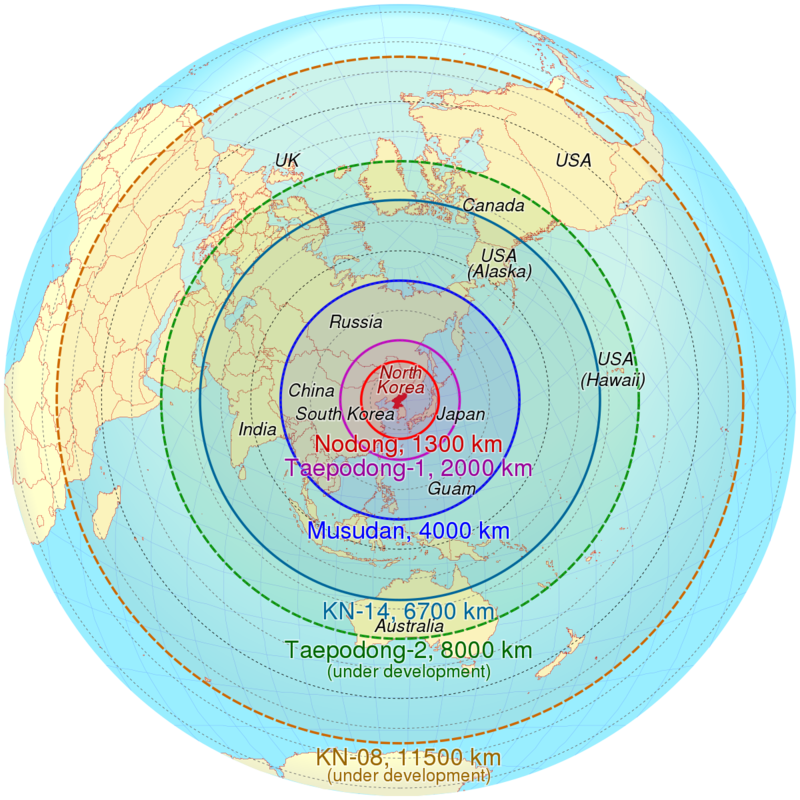 Despite its impressive range, the missile probably still is not accurate enough to destroy Guam’s Andersen Air Force Base, said David Wright, a U.S. missile expert with the Union of Concerned Scientists. South Korean President Moon Jae-in, a liberal who initially pushed for talks with North Korea, said its tests currently make dialogue "impossible." "If North Korea provokes us or our allies, we have the strength to smash the attempt at an early stage and inflict a level of damage it would be impossible to recover from," he said. North Korea has repeatedly vowed to continue its weapons tests amid what it calls U.S. hostility — by which it means the presence of nearly 80,000 U.S. troops stationed in Japan and South Korea. Robust international diplomacy on the issue has been stalled for years, and there’s so far little sign that senior officials from North Korea and the U.S. might sit down to discuss ways to slow the North’s determined march toward inclusion among the world’s nuclear weapons powers. South Korea detected North Korean launch preparations Thursday, and President Moon ordered a live-fire ballistic missile drill if the launch happened. This allowed Seoul to fire missiles only six minutes after the North’s launch Friday. One of the two missiles hit a sea target about 250 kilometers (155 miles) away, which was approximately the distance to Pyongyang’s Sunan, but the other failed in flight shortly after launch. Kim reported from Seoul. Associated Press writers Foster Klug in Seoul and Mari Yamaguchi in Tokyo contributed to this report. PRESIDENT TRUMP’S DEFINING MOMENT – ARE YOU FRIEND OF FREEDOM AND DEMOCRACY?